Home » How Much is the Average Car Accident Settlement? Motor vehicle accidents are the leading cause of unintentional injuries in Colorado. According to the Colorado Department of Transportation (CODOT), there were 120,723 collisions in 2015 in Colorado. While some crashes are minor, sadly, there are also many very serious accidents in our state. If the carelessness or recklessness of another party caused your accident, you could have a valid claim for compensation. In the vast majority of cases, Colorado car accident claims settle before the start of formal litigation. This raises an important question: How much is a car accident settlement actually worth? Many victims want to know more about this issue before they begin to pursue their legal claim. Though it can be a little frustrating, the reality is that there is no simple answer to this question. Whether or not the defendant has auto insurance or the ability to pay out a settlement. To make matters even more complicated, certain types of damages are difficult to value. It’s easy to put a dollar figure on a hospital bill, but their are other things to consider. It is always difficult to figure out the fair value intangible damages such as pain and suffering or emotional distress. 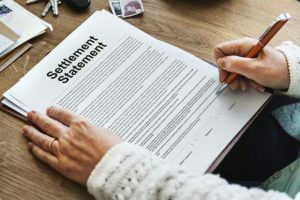 These damages must still be properly accounted for in your settlement offer. The bottom line: You should not think about what constitutes an ‘average’ settlement. Instead, you should focus on getting proper medical treatment and documenting specific damages. You deserve a settlement offer that includes compensation for the full value of your losses, both economic and intangible. Unfortunately, insurance companies are not interested in paying injured victims the compensation that they deserve. Insurers fight aggressively to settle personal injury claims for the lowest amount possible. To protect your right you should hire a qualified attorney to represent your interests. The Olson Law Firm is an advocate for injured victims. If a car accident that occurred due to someone else’s negligence left you with serious injuries, we can help you get the full compensation you deserve. Please do not hesitate to contact our law firm today for a free, no obligation initial consultation.